Camo kilts are originally created for hidden from sight during the hunting trip. After that it will be a trending fashion in the market, people wear it as a fashion. Now its become a trending fashion, People wear it in games, sports, and different occasions. Its available in different colors, sizes, and designs. You can select your perfect style and color print which suits you. Each of Camouflage kilts is custom made according to your measurements. Note : We made and deliver custom kilt in 2 Weeks. 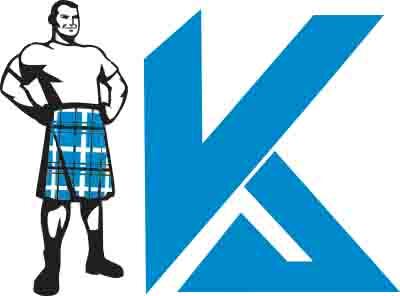 We are the fastest kilts manufacturer and Shipping without compromising the quality. Tactical Kilt designed for sports events, fashion, rock events. Many people are still confused about camouflage kilts and their purpose. These kilts are especially used for hunting purposes when you want to keep yourself invisible. Military men and women also use camouflage kilts to keep themselves away from the line of sight. However, the unique pattern in these kilts will make you look different from others. If we explain camouflage kilts in depth then, of course, several types need to be defined. Camo kilts can be worn during the times of adventures especially open air adventures such as hiking and hunting. These kilts are known for their unique eye catching print that includes beautiful desert colors and its perfect choice for casual wear. Durable fabrics are used in desert camouflage kilt that will make it long lasting no matter where you are. It has striking patterns that make this kilt suitable for any occasion while its side pockets have an impressive storage capacity to store all the important items on both job and open air adventures. It is one of the most fashionable kilts available in the market. It comes in different styles, and its unique patterning makes this kilt attractive whenever you are in public or any special occasion. The versatility of the urban camouflage kilt makes it a bit different from other popular expensive brands in the market. Digital camouflage kilts are the latest evolution in combat gear while its features a unique print made from tiny pixels for a stylish and high tech design. These kilts are outfitted with a high quality material that lasts longer while the flap pockets will let you store your gears and tools without any hassle. Camouflage tactical kilts are made from durable polyester/cotton that is designed for operational use. These kilts are known for their outdoor use such as hunting or military purposes. Camo tactical kilts provide you several print choices according to any taste while its pockets and buckles will allow you to store all the important items such as phone, keys, etc..
Hunters use these kilts for many years because of its stunning features and high quality material. These kilts are quite handy for those men who are planning some outdoor or indoor adventures. We hope you have made your final decision about the best camouflge kilt after going reading this detailed guide carefully. We always try our best to share all the related information about selecting the right kilt so that you can spend your hard earned money on the right product. The only thing that you need to make sure while buying utility camouflage kilt is the correct size and measurements. To avoid all the hassles of the size, we always recommend everyone to give their most recent measurements so that you can avoid all the troubles related to replacement. All these kilts are manufactured professionally, so you don’t need to worry about the lifespan and quality.